I've recently been reading a book called I Cuwa Ku Lalan (問路). 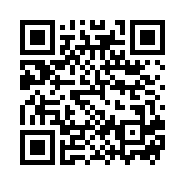 It's a documentation on the sikawasay or priestess (祭師) of the Pangcah (Amis) tribe Lidaw village (花蓮東昌村里漏部落). 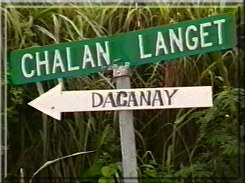 Lalan means road in Pangcah. In the book, the priestess also mentioned a word called calay. Calay is the path to the spirits, the songs, dances, tools, ceremonies that the sikawasay use to to connect with the kawas. Sikawasay is formed from si-kawas-ay. Si is the Instrument/Benefactive Focus, a signature part of Austronesian grammar, kawas is spirits, ay is similar to "an" in American, meaning those who possess spirits. Every time I drive by a road sign that begins with Chalan, I am reminded of Lalan, Jalan, Calan, Calay or those words that obviously derived from the same cultural backgrounds. And yet I feel as much an outsider to that culture in Guam as I do in Taiwan. 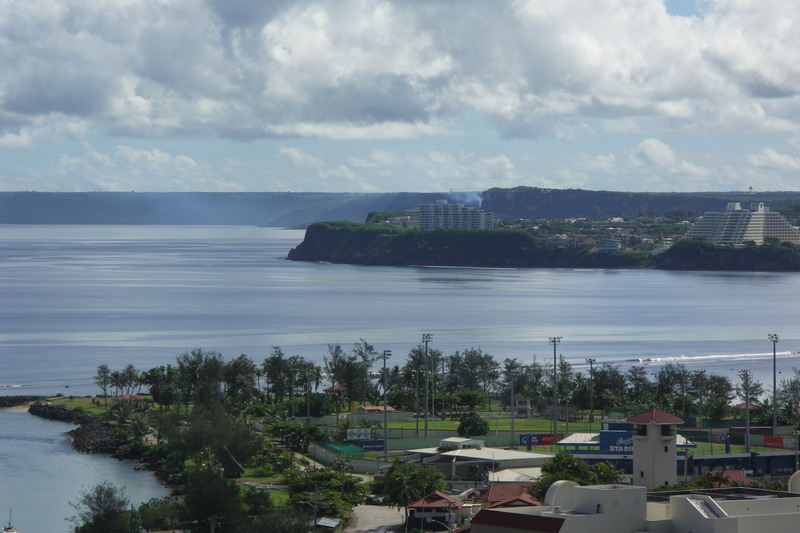 I have been to Guam many times now to visit family friends. And I have gotten very tired of staying in the tourist shopping areas. I wish there's a way to learn more about the local people and their perspectives on tradition, because I think on many levels Austronesians brethren in Taiwan and Guam faces many of the same challenges. For centuries dominant cultures has been chipping away at the culture and language. Though, admittedly, the Americans are a lot more respectful to culture and linguistic heritage than the Chinese in Taiwan. In one of my ventures out of the tourist areas, I visited Ritidian Point (i suppose it's still very touristy) and met Park Ranger Emily Sablan. Emily is very passionate about learning and promoting the awareness of Guam's cultural and linguistic heritage. As soon as we started conversing, I find myself learning more about Guam in 1 hour than I ever did in past 5 trips. 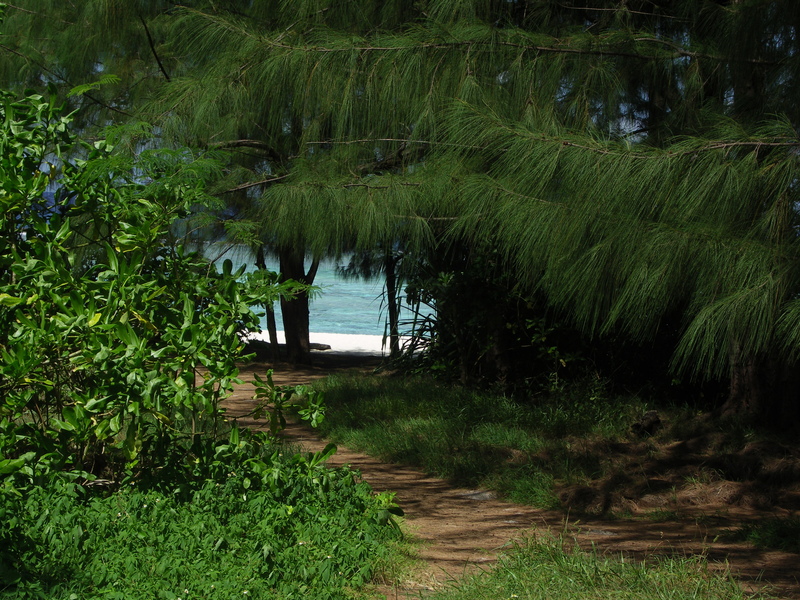 In our conversation, I described Ponso no Tao (Lan yu, 蘭嶼, Orchid Island) to Emily. About how the island and people used to be called Yami (雅美), because the scholar mistaken the word for north as the name of the island and people. It took a lot of effort to correct their name to Tao (達悟), which is the root word for people in Austronesian. In fact most of tribes' name derived from a form of Tao, such as Thao, Tsou, Altayal. Even those tribes whose title derived else where often retains the root word Tao as a way to refer to people. In fact it is likely the name Taiwan, which is a corruption of Dutch spelling of Tayuan, referring to the aboriginal village of Teyowan is a derived form of the root word Tao. Intrigued by this, Emily told me information equally surprising to me. She mentioned the possibility Chamorro is actually not what the people referred to themselves either. The word for people in their language is taotao, and there is a movement for them to be referred as Taotao Guahan. And there, yet another linguistic ties between two places and people separated by thousands of miles and thousands of years. We all refer to ourselves as Tao. The Spanish in the old days referred to non-Christians as Moro, aka Moors, because of the Moors invasion and occupation of Spain. There is a group of Muslim population in the Philippines called the Moros so named by the Spanish. Cha'moro could be a a way of saying "almost moors". Though since the term Chamori/Chamurre were also in use by the Spanish, it would be that Chamori was the term used by the people of Guam, possibly tied to the root words for Māori, Maoli and Maui from New Zealand and Hawaii. Chamori in time is corrupted by the Spanish to Chamorro, possibly referencing Moro and their newly conversion to Christianity. Other words Emily told me that related to Tao such as Government House in Guam is called Guma Taotao. It is written as Guma i Taotao on wikipedia, which make sense in Austronesian grammar, where "i" is either the locative focus word or the instrument/benefactive focus. Guma means house, which in Pangcah is lumaq, in Pazeh is humáq, in Puyuma is rumáq̂, in Paiwan is umaq. The ancestral spirit that is core belief system of most Austronesian culture is called taotao mo'na, which means people before us. The street sign "Chalan Langet" or Street to Heaven, that I found on former congressman Ben Blaz's Bisita Guam website was picked to poke fun at some of the street names. "So, if you are ready to go, Chalan Langet may be the right road for you." In many Formosan languages, Ranget/Laŋica also means sky. Since there were no dogs or other four legged mammals on Guam before the Spanish arrival, some of the words for these animals were lost. Emily said animals are called ga'ga and north is gé'lagu. When the Spanish brought other mammals such as dogs, carabao, boars, and deers to the island, at one point all the four legged animals were called ga'lagu, or animal from the north. Since dogs were first animal that was brought to the island, ga'lagu became the word exclusively for dog. Root word for dog is wacu/wasu/asu, several languages on the island of Flores, Indonesia calls dogs as lako or rako but probably not related to lagu. Though I wonder how did the word for north change as well. After looking into Austronesian Ideas of Locality, I am amazed by the fact that a sea faring people's sense of direction can change so drastically. In many places cardinal direction are replace with upstream or downstream, mountain or ocean. And yet these people were still able to cross the oceans to reach other islands. 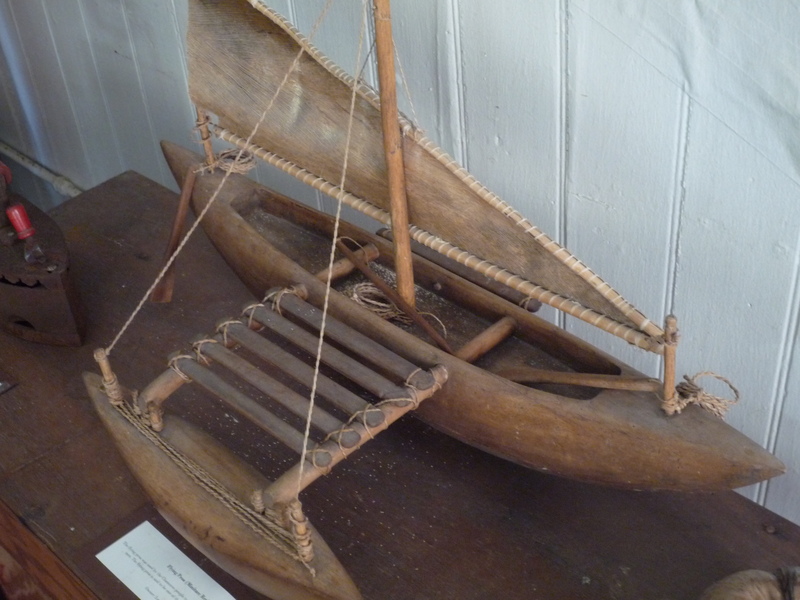 As for the boats our ancestors used to cross the vast ocean, whether the name is bangka, vanca, waka, waka-ama, va'a, vaka, perahu, paraw, prau or proa, is now rarely seen. I read somewhere that Guam's word Proa is of Indian influence in Indonesia/Malaysia, before the taotao reached Guam. I think the source was implying the word Pota, which means a small boat on a large boat, or a diverting branch of a planet. It's the Indo-European root word for "pod", as in escape pod, or ipod. While it sounds like a possibility, since there is Paraw in the Philippines, which essentially means boats with sails that looks like the proa, while boats without sails are still balled the bangka. I think the word proa is of Austronesian origin, possibly from the root word for "wing" like pererau/parirau, but I am no linguist (Possible from the PAN word paraqu, which means boat). I was told that the sails of proa were made of Coconut fibers. I wish sometime in the future i'll get to see a real sized proa, it did give the island the name of Islands of the Lateen Sails after all. Finally, opening day, Braves crushed the Giants 6-2. Not exactly filled stadium for opening day, but everyone there seemed like family. Doesn't matter if they looked white, chomorro or Asian, locals greet each other with a kiss on the cheek. There were plenty of kids, that's always great for ball games. 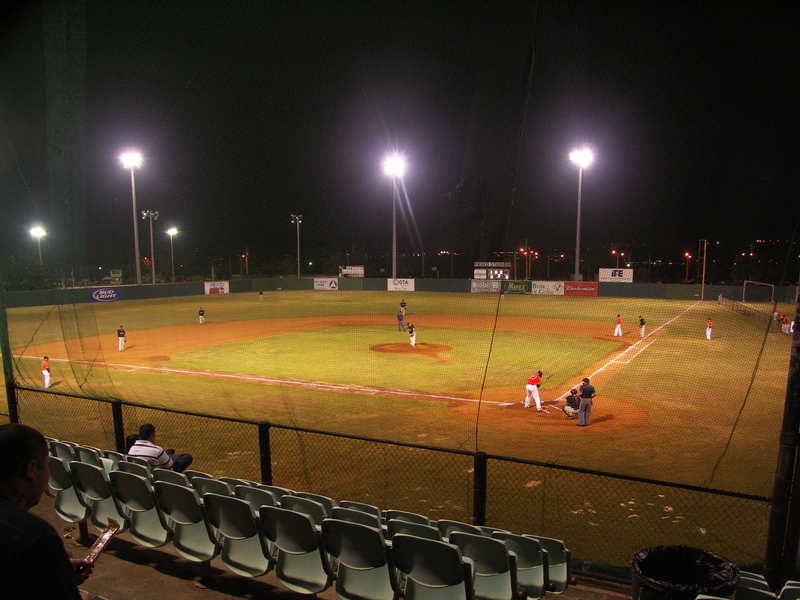 It is a small stadium, but nothing beats sitting in a cool night with the warm ocean breeze and enjoying baseball in February. 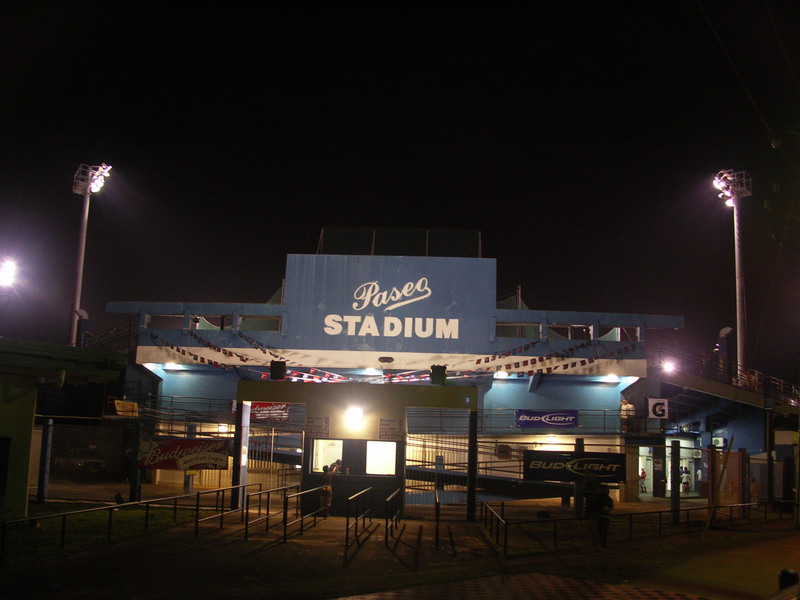 As beautiful as AT&T park was, when it comes night time I think I rather be in Paseo Park. Didn't get to see John Hattig, who was with the Giants last year. He is playing for the AK Islanders this year. Wonder why no Asian pro-leagues invited him to play, or how the Budweiser Baseball league is doing financially. But I don't think the fans in that stadium cared too much about these problems. They were just there to enjoy a nice evening. Wish watching baseball is as simple as that here in Taiwan.